Lavender Hand & Body Wash – 12oz. Lavender Hand & Body Wash. This gentle, ultra-rich, multi-use liquid soap gently cleanses and moisturizes skin from head-to-toe, while a blend of aroma-therapeutic essential oils and all natural ingredients envelops the body, & mind. 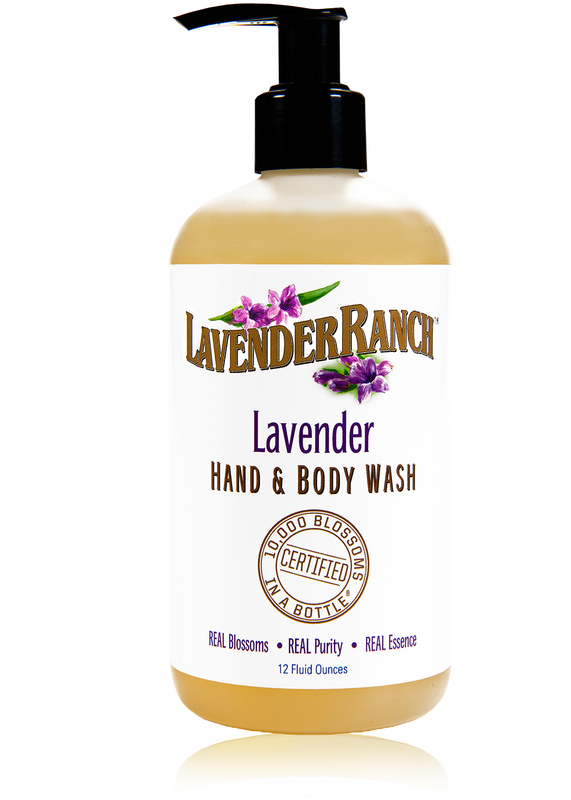 Lavender Ranch™ Hand & Body Washes blend our California grown Certified Organic Botanical Essential Oils & Extracts with soothing & protective plant oils, natural cleansers, and moisturizers, to gently wash away impurities for clean, healthy, & nourished skin. Purified Water, Aloe Barbadensis leaf juice*, Sodium Lauryglucoside Hydroxypropylsulfonate, Cocamidopropyl Betaine, Decyl glucoside, Lavandula Intermedia flower/leaf/stem extract*, Sodium Methyl Cocyl Taurate, Glycerin, Sodium Alginate, Panthenol, Allantoin, Citric Acid, Sodium Benzoate, Potassium Sorbate, Ethyl Hexyl Glycerin, and Lavender Ranch™ proprietary essential oil blend*. Invigorate your body & mind with this stimulating and revitalizing citrus aroma.